I flew to London to launch the Animals podcast. 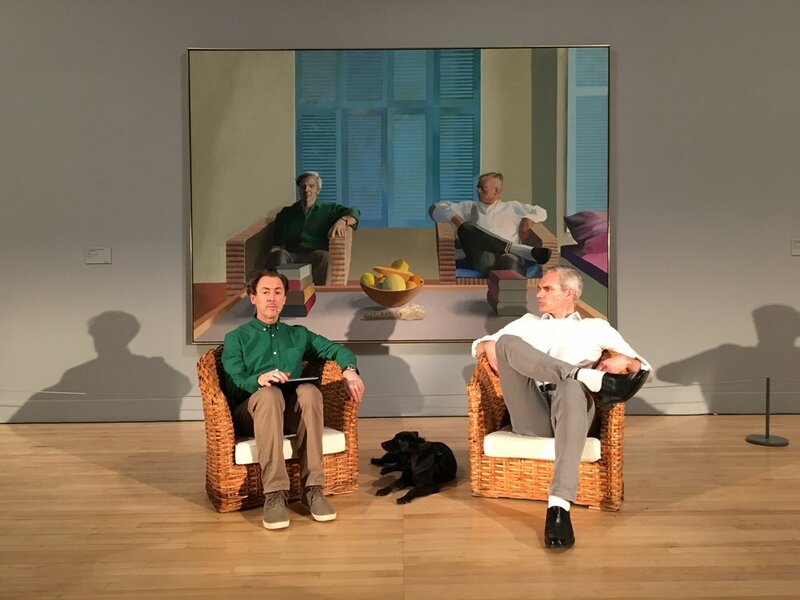 The Animals is a book of letters between Christopher Isherwood and Don Bachardy, and we read from it in front of the David Hockney portrait of Chris and Don which was part of Tate Britain’s amazing Hockney exhibit. In the podcast Isherwood is read by Simon Callow, but due to his unavailability, at the launch Angus Wright played him. Earlier that day, as part of another exhibit, Queer Brittania, I was interviewed by Amy Lame.